Works to loose and soften scar tissue. Improves breast softness & shape, smooths out waviness after liposuction and tightness from tummy tucks. 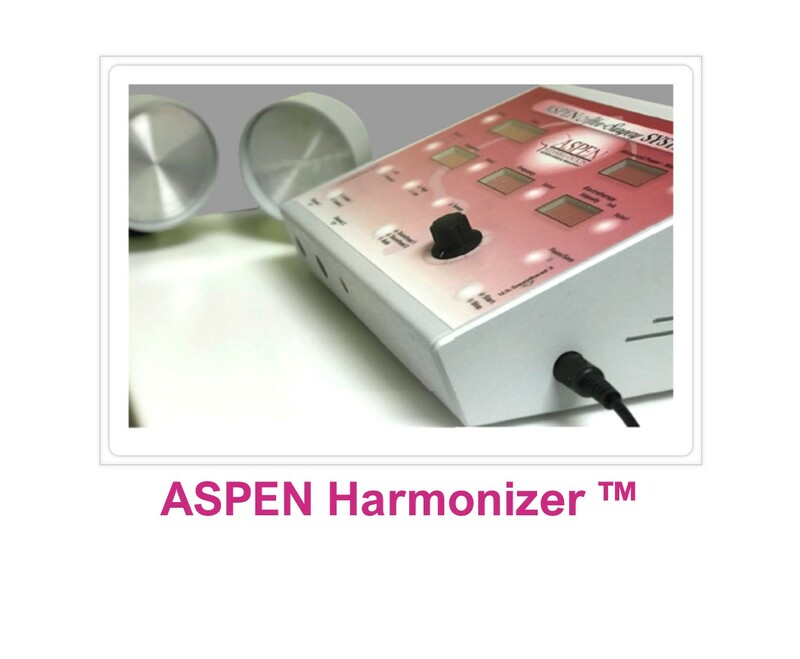 The Aspen Harmonizer™ works better than ordinary ultrasound because of the larger sound heads that can be adjusted to surround a larger surface like the breast or abdomen. In addition the automated energy flow provides a consistent even dose of energy across the entire surface providing a more thorough coverage. The Aspen Harmonizer™ in tandem with Aspen's Shape & Soften protocols provide for a faster and more effective treatment of entire breast or other larger areas of the body like trunk, flanks and glutes. Can be used in conjunction with Aspen Breast Therapy to treat Capsular Contracture without surgery. This treatment protocol has shown to help improve the level of contractures from Baker II or Baker III to a Baker I. Can be used in conjunction with Aspen Breast Therapy and an antibiotic therapy regiment as a prophylactic to help prevent capsular contracture by increasing the circulation to the area that can assist the antibiotic to penetrate the biofilm layer. Can be used in conjunction with Aspen Body Therapy to soften scar tissue to help reduce the pain after tummy tucks and liposuction. Can be used in conjunction with Aspen Body Therapy to smooth out waviness of surface skin after liposuction procedures.